Place chicken-stock in a medium saucepan. Cook over medium heat, slowly add polenta – whisking constantly – until thick. Add pecorino cheese, onion powder, baking powder and fresh ground pepper to taste. Mix to combine. Take saucepan from heat and add the egg, mix until well combined. 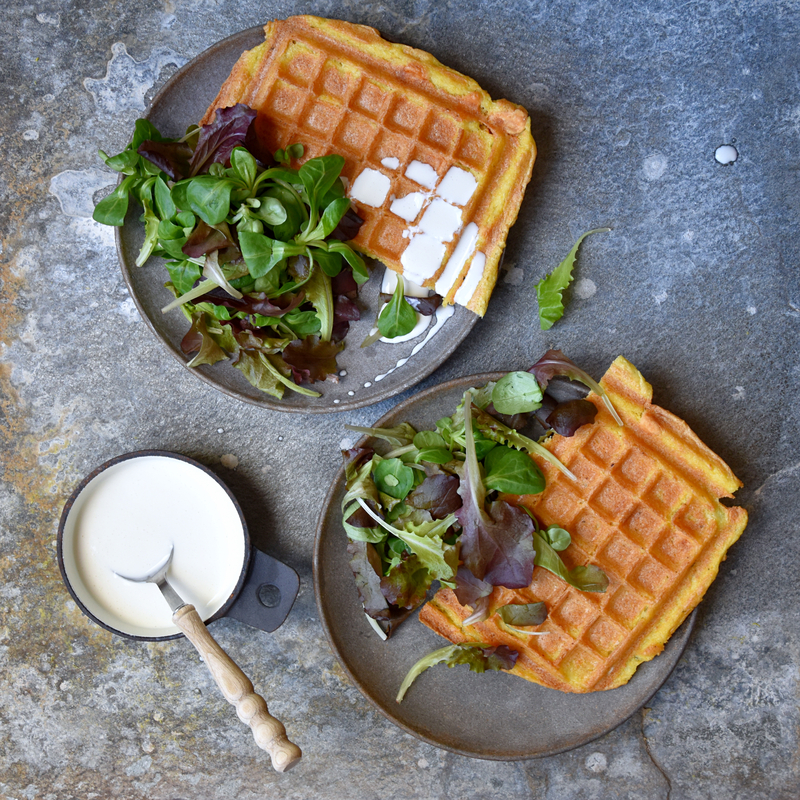 Preheat a waffle iron and brush both sides with olive oil. Add waffle batter to the waffle iron and cook until crispy and golden brown.